I’m generally a very healthy eater, but I definitely have a sweet tooth. 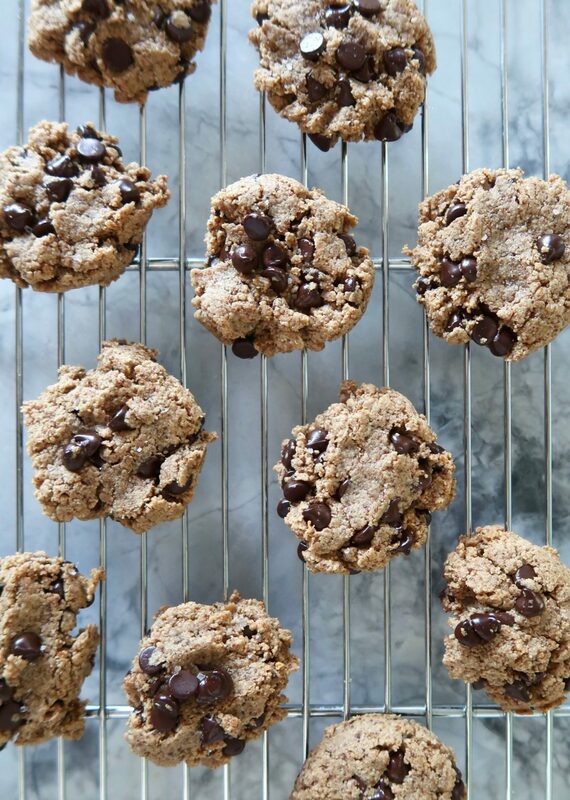 So, I made up this recipe for “healthy” chocolate chip cookies to satisfy that craving for something sweet. It has minimal sugar, lots of protein and good fat, is free of gluten, and is vegan! Plus, they’re incredibly easy to make. If you don’t compare these to cookies to ones from Levain Bakery, then I think you’ll be pleasantly surprised (and won’t feel guilty afterwards)! 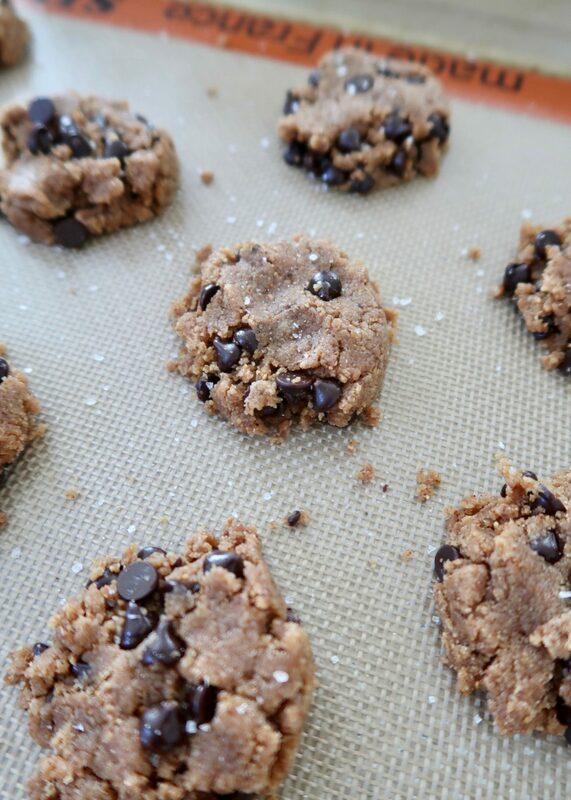 Mix together the almond flour, coconut sugar, collagen, cinnamon, salt and baking powder. Add the vanilla and nut butter and mix until well incorporated. If it’s still too dry, mix in a tablespoon of water (or an egg white). Stir in chocolate chips. 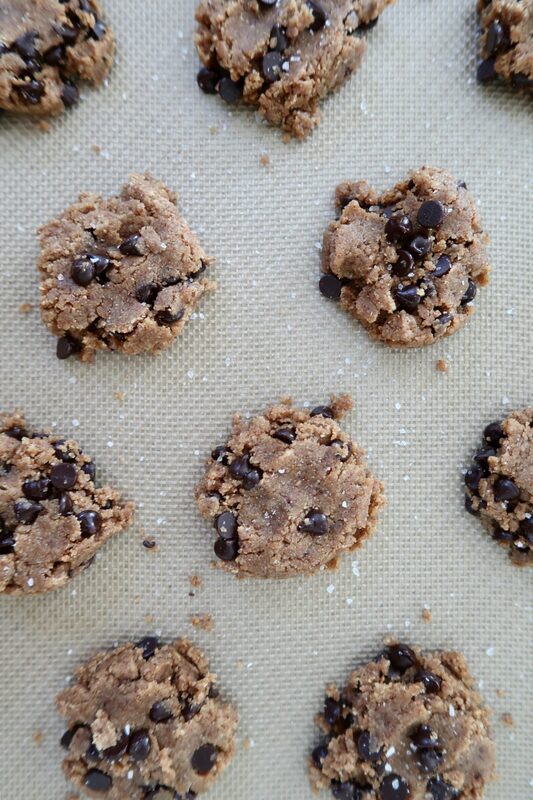 Use a cookie scoop to drop rounded tablespoons onto a baking sheet. Flatten the balls with your fingers (these won’t spread like normal cookies) and sprinkle some more sea salt on top. Bake at 350 degrees for about 10 minutes. Makes 12 cookies.